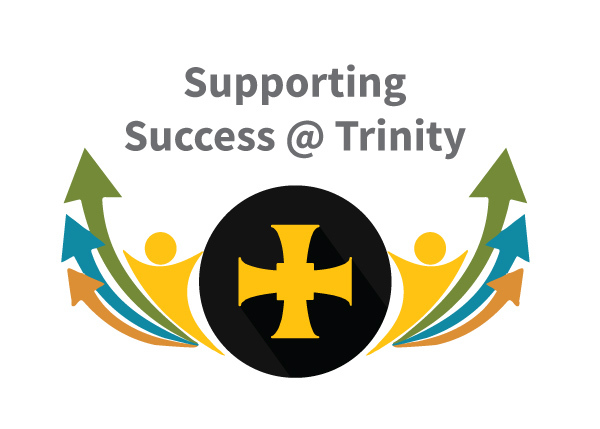 Year 11 is a very demanding and challenging year for all students, and our aim at Trinity is to support each and every student in the best way possible to ensure that they reach their full potential. We support students in year 11 under the ‘Supporting Success’ banner. The aim of the ‘Supporting Success’ initiative is to offer a wide-ranging number of support opportunities to help your son or daughter make the most of this crucial examination year and achieve their full potential. Many departments and individual teachers run after school revision sessions for students in the run up to exams. These voluntary sessions will be publicised in school, via the bulletin and big screen. Students can then plan the sessions that they wish to attend. Free tea and toast is provided on the days when there are sessions. Often students simply need a venue and some time to study on their own or as a small group. There will be times offered for this before and after school, closer to the exams. 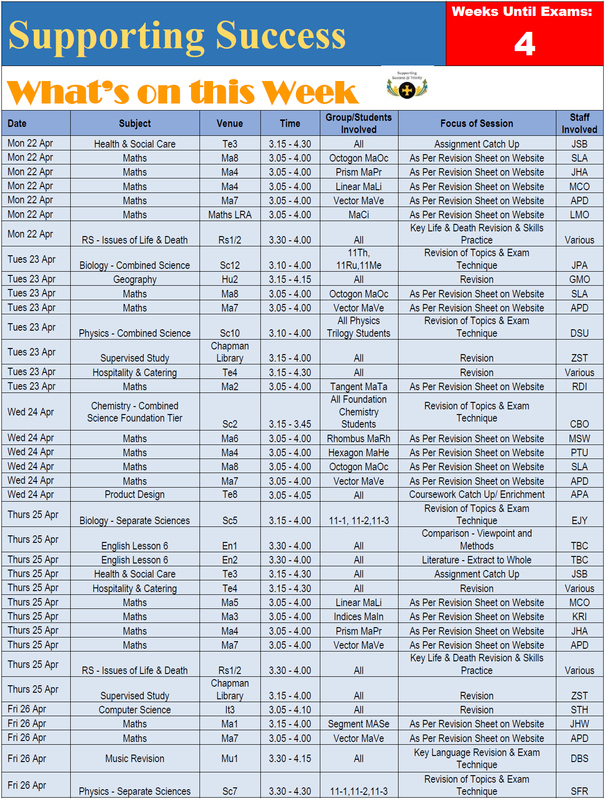 To help plan revision timetables, offer support and guidance with next steps, revision and dealing with Year 11 pressures, they will also help you look at where you need to focus your time in the coming months. In Maths and English and the use of the ‘Learning Curve’ for groups of students who require specific support in these subjects. We occasionally offer extra classes for some students who have fallen behind, but this depends upon staffing availability and other constraints. For students who struggle with severe stress we can offer mindfulness and mentoring/counselling. This is arranged through the year group team. Talks from people who know how to inspire and motivate! We are currently running a series of assemblies to support Year 11 with revision. The slides from the assemblies are below. We hope that you find them useful.